John Moir and Son Lemon Squash Advertising Card. 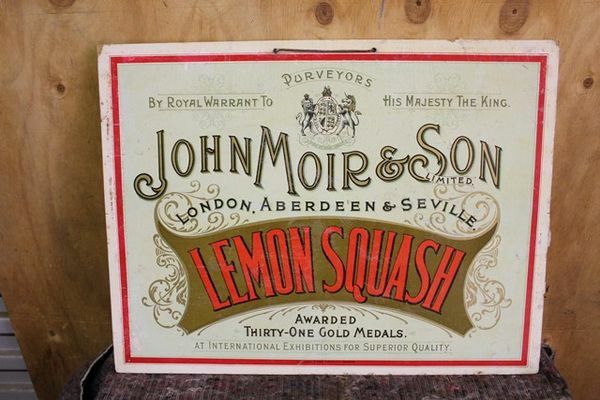 Early John Moir and Son, Lemon Squash Advertising Card. 53cm x 40cm.